If you’re a member of the University of Nottingham and you’re interested in trying our sessions without becoming a member, then you can register below. Choose the event you wish to attend and sign up on Doodle. Make sure you bring ID with you when you arrive, and all those without sports membership, don’t forget your £3. Fancy being a triathlete for an hour? 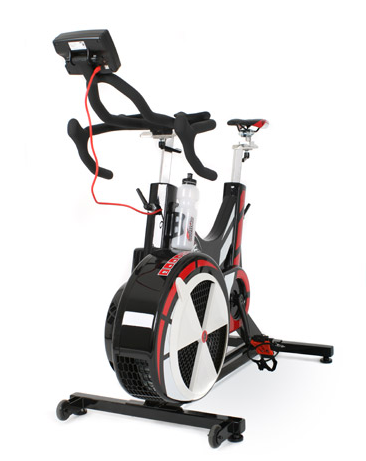 Then come and try one of our Wattbike sessions on Wednesdays in the Jubilee Sports Centre Spin Studio. Held once per month, the session run for 1 hour from 14.00 to 18.00. Try and get there a few minutes early, bring sports kit (shorts are better than trousers), a towel and a water bottle with you. You’ll meet the session leader just inside the main entrance wearing triathlon stash. Be prepared to get sweaty! If you want to come, hit the sign up button below and enter your name into the Doodle - this will go live two weeks before the event. Spaces are limited, so if you can’t make it, take your name off the doodle or give us an email. Experience professional swim teaching from our nationally-recognised coaches - UoN Tri will be offering a limited number of people the chance to swim with us each week! Every Monday from 19.30-20.30, club swimming takes place at David Ross Sports Village Swimming pool. We offer 3 beginner slots, 3 intermediate and 3 intermediate advanced. Beginners should be able to swim a minimum of two lengths front crawl, intermediates should be able to comfortably swim 10 lengths front crawl, and intermediate advanced should have a history of swimming in a club (even if it was a few years ago). Turn up 10 minutes before training with swimming shorts, goggles and a towel packed. A committee member will be waiting for you at the swimming pool reception. If you want in, hit the sign up button below and enter your details on the doodle - this will go live one week before the event. Complete beginners - fear not! We will hold separate engage sessions through out the year, which we will announce later on. Triathlon doesn’t just involve swimming, cycling and running - muscular strength and endurance are really important for good performance. That’s why we train our whole body once a week with various body weight exercises, completed one after the other with a little rest in between. This is circuit training, which is great for both complete beginners and professional athletes. It takes place every Thursday in Studio 2 at David Ross Sports Village, from 20.30 till 21.30. If you want to come along, sign up through the link below, which will open one week before the event. Make sure you enter your whole name. On the night, turn up a few minutes early in sports kit (trainers, shorts/tracksuit trousers and top) with some water too. A committee member will meet you just inside the DRSV entrance, wearing triathlon stash.